I have a confession: I love dead trees. Please don’t hate me! Before you rush to judgment, let me explain. Of course I would prefer a living tree. After all, there are few things lovelier than a leafy green tree against a clear blue sky. But let’s be real – it’s nature, and trees die. And I, for one, appreciate all of the bark-less trunks and finger-like branches out there. The stark beauty of long-dead trees really became a thing for me, I think, when I moved to Arizona years ago. With its dry climate and rocky terrain, the entire Southwest seems to be a veritable dead-tree graveyard. As my son was growing up, I remember pointing out the gnarled textures of the dried wood and the flowing lines of the whitened branches. Depending on the light and the angle, the old trees could look dark and sinister or graceful and elegant. I realized my obsession had gone too far, though, when my son told me about one of his elementary-school class assignments – writing an essay on his favorite type of tree. Of course my son picked “dead tree,” which was not exactly a winner with his teacher. Even though I stopped talking so much about their beauty, dead trees still attracted me. 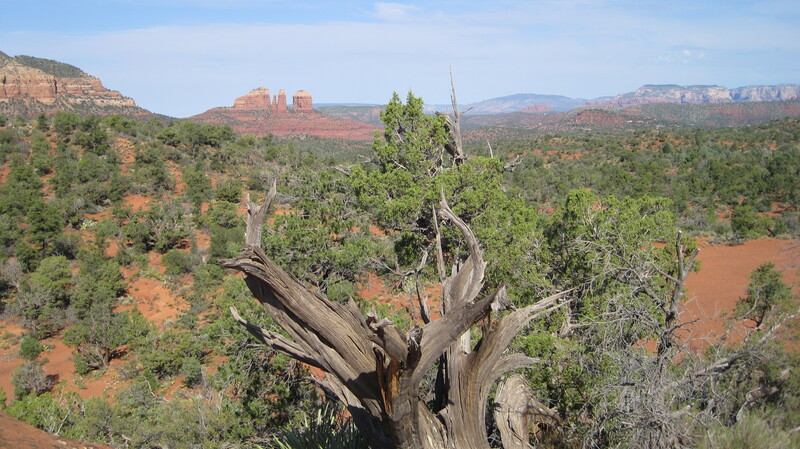 When I look back at my old hiking photos, I realize that weathered wood is featured prominently in a lot of them. 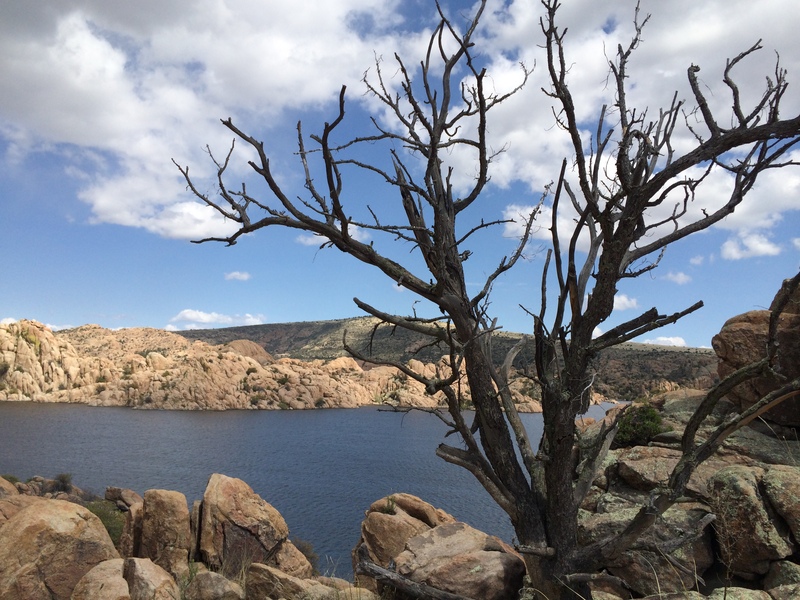 For me, nothing sets off the scenery of the rocky lakes around Prescott, Arizona, the rugged terrain near Moab, Utah, or the red rocks of Sedona quite like the knotty, weather-worn wood of an old tree. I just can’t shake it.